Steve’s breakdown: Charlie Ergen is leaving Dish Network again but where’s the real lead? We believe SlingTV is going to be the one to jump. Mr. Glenn S. Eisen is the Chief Marketing Officer there. ENGLEWOOD, CO: Dish Network co-founder Charlie Ergen is leaving the helm of the satellite TV giant — again. Ergen — who had returned as chief executive in 2015 after taking three years off to focus on dealmaking — is stepping down as CEO once again, but will remain chairman in order to devote more time to Dish’s wireless business, the company said Tuesday. Erik Carlson, president and chief operating officer, will succeed 64-year-old Ergen as CEO, and continue to report to Ergen, Dish said. According to a source, there have “not been a lot of long-term winners” when it comes to acquisitions under Ergen, referring partly to the $21 billion Ergen has shelled out over the past decade to hoard wireless spectrum. Thus far, Ergen has has failed to flip any of it or partner with carriers to make use of it. Giving up the CEO title will allow Ergen to focus on getting deals done while Carlson can “clear the brush on day-to-day” issues. Despite the changing of the guard, however, Ergen will likely keep a firm grip on day-to-day business. Ergen did not respond to requests seeking comment. As CEO, Ergen spearheaded the company’s recent expansion including the launch of Sling TV and the acquisition of wireless spectrum. 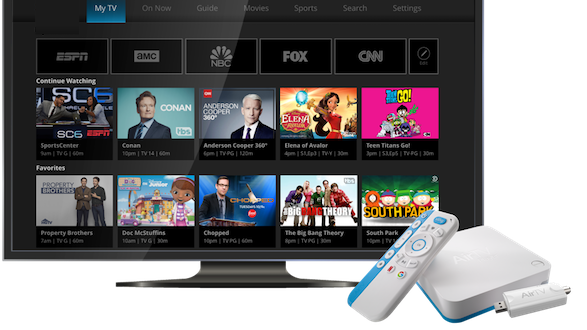 Sling was launched two years ago to counter the threat of consumers cutting their TV packages for online streaming services. The company faces intense competition in the traditional pay-TV market and has been buying up wireless airwaves, or spectrum, in recent years. The focus on mobile is a growing strategy in the media industry, as consumers generally spend more time watching video on their phones and less time on traditional TV. In the third quarter ended Sept. 30, Dish reported a 6.6 percent decline in profit of $297 million, or 57 cents a share, compared with $318 million, or 67 cents a share, in the year-ago period. Quarterly revenue fell 4.9 percent to $3.58 billion, compared with $3.77 billion. Shares of Dish rose 0.8 percent to $52.03 on the Ergen news on Tuesday.